General Appearance: A sturdy, compact, smooth-coated dog, proud and alert, spirited and fearless. Size, Proportion, and Substance: Height-10 to 12 1/2 inches at the withers. Background: The Min Pin is 9 lbs. of dog with 90 lbs. of attitude. If you're longing for a large breed, but don't have enough space for one, a Min Pin could be the solution to your troubles. 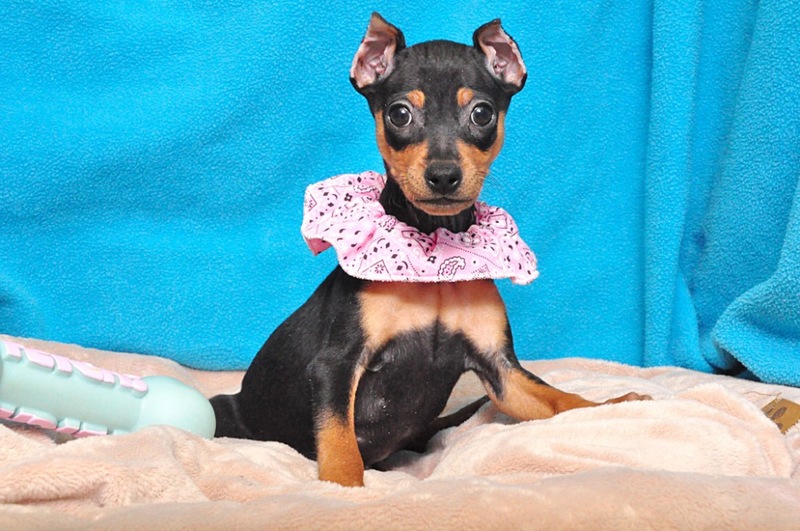 Min Pins are very intelligent and highly trainable. He has tons of energy. Some Min Pins tend to be a little vocal, but when properly directed they can make excellent watchdogs. Children should be instructed that the Min Pin cannot tolerate too much rough handling.